Investing In Construction Equipment? Start Here. Whether you are new to the construction industry or would just like to have a wider array of tools, it is always good to have some knowledge in your corner. Knowing what to buy, what works well for particular tasks, and more tidbits are key to building your collection. However, knowing what to look for can become overwhelming. Bear these tips in mind and your construction equipment collection will be comprehensive enough for the tasks you perform. 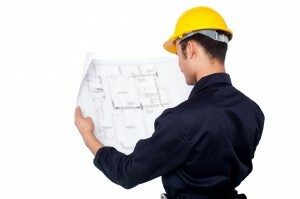 Will you be on the site with a construction crew, or are you going to just do some occasional repairs around the house? The type of job you will use the tools for is important, and will eliminate plenty of tools from your list that serve no purpose in different scenarios. You’ll need a place to store all of those tools, and finding out how much room you have available will keep you organized. Be sure of how much you can store, then construct a budget based on your allotted space. That way, you aren’t cramming up a garage with excess tools. Browse websites once you know what you need and try your best to estimate how much you will spend on your new construction equipment. Once you have that price point locked down, you’ll be able to factor it into your budget and adjust accordingly. Your life is precious, and you need to take care of yourself during risky ventures. Construction can become dangerous, so investing in fall protection harnesses and other protective pieces is a “must.” Luckily, Nation Wide Ladder & Equipment has plenty of equipment to keep you safe. Now that you have some ideas about it, investing in construction equipment should be simple enough. For the ladders and equipment you need, call Nation Wide Ladder & Equipment at (603)-434-6911!